Think Auckland has the most unaffordable housing in New Zealand? Think again. It’s now the Central Otago Lakes region. Massey University’s latest Home Affordability Report is now out and it shows that Central Otago Lakes has surpassed Auckland as the most unaffordable region in New Zealand. Affordability in Central Otago Lakes declined by 8.2% in the quarter from December 2016 to February 2017 as house prices in the area rose by 30.4%. In contrast, Auckland’s median house price dropped by 6.1% ($51,944) over the quarter, which led to a 7.5% improvement in its affordability. The report author, Massey University associate professor Graham Squires, said Central Otago also had the largest decline in affordability over the 12-month period. 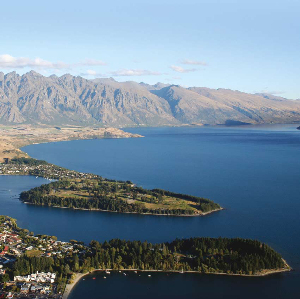 However, Central Otago Lakes and Auckland remain the two least affordable regions of New Zealand by a clear margin, he said. Further, Squires said the ratio of median house price to median wage remains very high in Auckland and Central Otago Lakes. National affordability improved over the quarter. This was driven by a fall in house prices in seven regions, including Auckland. Squire said improvements in affordability have been driven by slowing house prices and continued low interest rates – but there are indications that interest rates are on the rise. It was important to note that that the quarterly interest rate used to calculate the index is a weighted average of all loans and that is currently at 4.85%, he said. “New customers’ rates for January are now much higher – generally between 5% and 6%, depending on the type and term of the loan.